Cleaning house, dividing up the bills, organising transport and even scheduling in some study time – apps are an integral part of modern student life. 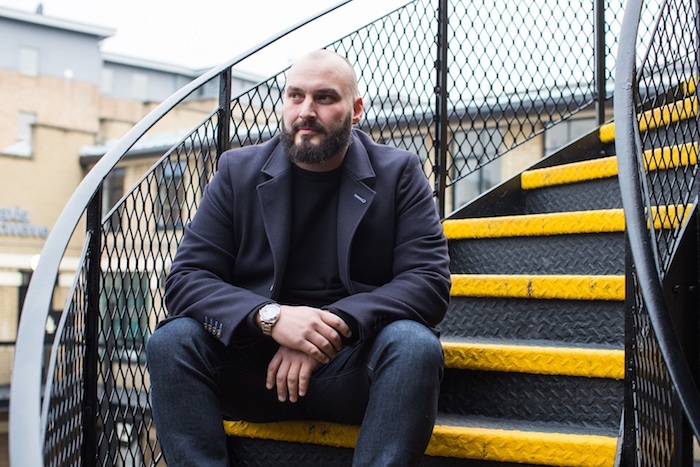 James Rix, Founder of StreetPR explains why real people in the real world are key to marketing digital services to ‘digital native’ students. I love students – I spend a lot of time talking to them, organising events for them and even recruiting them for our face-to-face marketing teams. But sitting here looking back at my college life, I can’t help thinking today’s students have a much easier life than I ever did. Yes, yes, I know about crippling levels of student debt and the high cost of tuition – but I worked my way through college by standing on street corners handing out leaflets promoting bars and clubs in all weathers. Being short of dosh is nothing new for students – and it’s remarkable how much money they seem to have for alcohol and other fun things! Granted, these days, most students are low-earners, but they have a high-level of disposable income – either because they’ve borrowed the money to fund their college years, because they work during their vacations or because they’re being supported by the Bank of Mum and Dad. According to the figures published by the Institute of Fiscal Studies last year, the average student has saddled themselves with debts of £50,800 by the time they graduate. Obviously, a lot of that goes on tuition fees, accommodation, books and travel, but there’s usually still something left to play with. I know I sound like some old codger in a sit-com (‘when I was a lad…’), but students today do have some advantages I never enjoyed — they have access to a vast array of websites and mobile apps which make their lives so much easier. I’m not talking about those websites that offer to write your essays for you. Cheating never pays, particularly now that the universities have incredibly sophisticated software packages available to them which can identify fake submissions! No, the apps and websites I’m talking about are the truly useful ones that help you organise college life and avoid loads of the negatives that previous generations have had to endure – like housemates who never clean their rooms or pay their share of the household expenses. Or there’s RoomClean (www.roomclean.co.uk), which does exactly what it says – it organises cleaning services for students living in rented accommodation, whether it’s flats, HMOs or mansions… No more strange smells that make you wonder what’s died somewhere in the house, no more having to nag the roomies to get the hoover out! RoomClean only does student digs, and it has tailored its services with students in mind – it understands university and college timetables, it knows about revising for exams, and it offers tailored cleaning services and time slots built around that. At this point, I have to admit that the reason an old git like me (I’m 35, which makes me just old enough to have a kid in college, although I have a French Bulldog instead) knows about apps being used by young students – or at least the two apps I’ve mentioned – is that we’re working for them, promoting their services to their target audiences at colleges and unis around London. It might sound odd, marketing digital services to ‘digital native’ students via real people in the real world. Actually, though, it’s a great way to reach the target demographic, particularly when we use brand ambassadors who are themselves students (or close to the same age) and so speak the same language, have probably gone through or are going through the same torments and faced the same frustrations and needs, and can relate to and engage with the core audience. Traditional media isn’t working that well with students any more. They aren’t watching TV or listening to the radio, they’re box set binging on Netflix, listening to music on YouTube or Spotify — and they definitely don’t read newspapers. One of the best ways to reach them is through face-to-face and experiential marketing – sampling campaigns, flyers and money-off coupons, brand activations, pop-ups and stunts, and anything that can drive social sharing. The sheer number of brands who are running experiential and F2F campaigns at universities and colleges is real evidence that it works. Running experiential campaigns targeting students isn’t as easy as it sounds, though. First off – and this sounds so obvious I’m almost embarrassed to say it – but digital brands have to be activating where the students are. That boils down to: where they study, where they live, where they shop and where they play. Let’s start with where they study. Many universities and colleges are campus style, although not all are – so who do you need to talk to in order to get permission to run experiential activity in and around university buildings? Is it the university or college authorities, the students’ union, local councils or perhaps private landowners? Obviously, if you do want to run activity in and around a place of study, you can’t be noisy or disruptive. You may also face restrictions over certain kinds of products and brands. You also need to be able to demonstrate the apps and websites you’re promoting, so your Brand Ambassadors will need to be equipped with tablets or smartphones. Next up is where students live. If you’re dealing with a university or college with significant student accommodation on site, then you might be able to conduct activity in halls of residence – but again you need to get permission from whoever owns or controls the site. Also bear in mind the need for good mobile signals or wifi! Depending on the town or city, there may be areas off-campus where large number of students live – UniLand, as these locations have been dubbed by researchers. Most university towns now have their own UniLand. Leafleting such areas may be a good way to alert students to an activation, and it may be worth running experiential marketing in local malls, precincts or High Street, particularly if significant numbers of students spend their money there. Coupons, free samples and brand activations always work better when they’re carried out close to relevant retail outlets. Finally, run brand activations in the places that students play – bars (both on-campus and off), nightclubs, pubs and music venues are all good targets, particularly if they have dedicated student nights and events. Targeting students in their own environment can be incredibly effective – but for digital brands, it involves a lot more than just printing up some flyers, grabbing a few boxes of samples and setting up a table in the local students’ union. If you invest time, effort and budget in planning and executing a campaign, however, then the results can be first class and you could end up with a lot of ‘appy customers!